Rex Learned Marsh, 82 years old, of Cambridge, passed away peacefully on May 1, 2018, with family by his side. Rex was born in Burlington, Vermont on June 13, 1935, son of Maurice and Abbie (Learned) Marsh. He graduated from Cambridge High School Class of 1953. Following high school, Rex worked on the family farm. On May 7, 1955, he married the love of his life, Dolores M. Marsh. They spent many years working side by side on their dairy farm. He was also a sugar maker and logger. His most significant pleasures in life were spending time with his family and being outside hunting, fly-fishing and taking walks in the woods. Rex was always the first to make someone laugh and smile, and will be remembered forever for his warm welcoming personality and generosity. 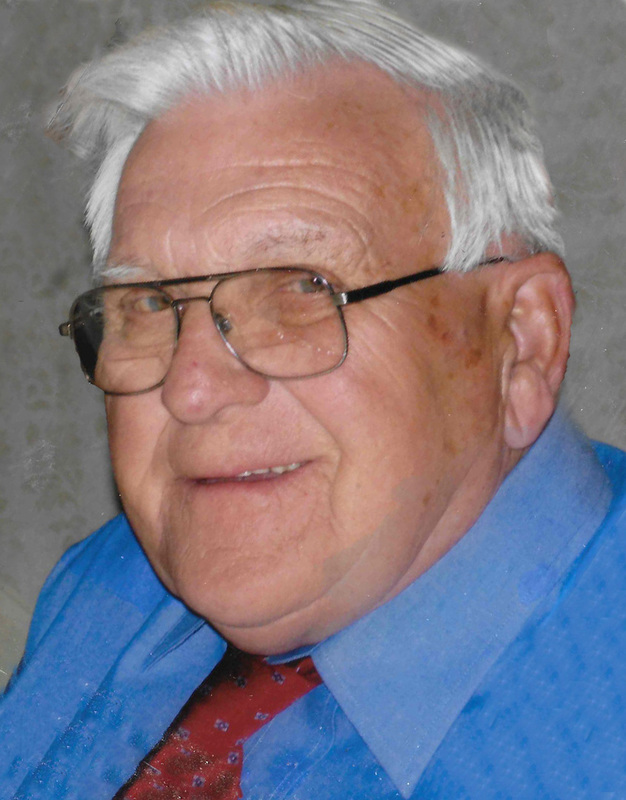 Rex is known to his children as Dad, his grandchildren and great grandchildren as Papa and will always be remembered for his fun personality and words of wisdom. Rex is survived by his daughter, Janette and Danny Dezotelle of Cambridge; son, Richard and Diane Marsh of Jeffersonville; and daughter, Linda and Huw Curtis of Cambridge. Rex has seven grandchildren, Jennifer Dezotelle, Darrin (Katie) Dezotelle, Michelle (Dan) Fletcher, Ryan (Ashley) Marsh, Hillary Dezotelle, Megan (Chad) Herman and Lauren Curtis, four great-grandsons Evan and Sean Fletcher, Riley Grippo, and Myles Herman, two great-granddaughters Willa Grippo and Anna Marsh. Rex is survived by his aunt Betty MacDowell, brother Danny Marsh, sister-in-law Roberta Marsh, several nieces, nephews and cousins. Rex had exceptional caregivers over the past couple of years; Donna & Frank, Colleen, Elena, Greg, Joan & Judy and more recently an amazing team from Lamoille Home Health and Hospice.Rex is predeceased by his loving wife of 60 years Dolores, his father Maurice and mother Abbie, his father-in-law Jerome Morin, his mother-in-law Elaine Courser, his stepfather-in-law Ralph Courser, his brothers Page Marsh and John Marsh, and his sister-in-law Julienne Rarick. A graveside service will take place at the Mountain View Cemetery in Waterville, Vermont on Saturday, May 5th at 11:30 am. Donations in Rex’s memory can be made to the Lamoille Home Health and Hospice, 54 Farr Avenue, Morrisville, Vermont 05661. The family invites you to share your memories and condolences by visiting www.awrfh.com.